Visiting Montfoort and searching for a place to swim? Nice choice! Don't forget to tell us how did it go. 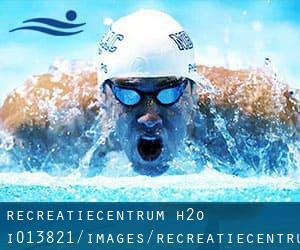 Introducing now Recreatiecentrum H2o swimming pool, a great swimming pool sent by a swimmer like you couple of days ago. Have you visit this pool? Do you function here? Please, contact us if you have information and facts that you simply think is gonna be useful and remember from now on you could now promote each pool just by sharing this page together with your friends or adding comments within the Facebook boxes below. Come on and aid this pool to be the first in Montfoort! Among all of the activities offered by the center, if you are interested in swimming you can enjoy 25 meters x 15 meters, Indoors. If you should contact this Swimming Pool, e-mail address and phone number are both number. Updated on 2019 Randdijk 1 , Ijsselstein , NETHERLANDS (Postal Code: 3402 TL). Swimmers like you reported 25 meters, Indoors. Phone number and e-mail address are number for this Swimming Pool. Updated on 2019 Bisschopsweg 175 , Amersfoort , NETHERLANDS (Postal Code: 3817 BT). This great and large sports center lets professional swimmers like you enjoy Olympic size, 8 lanes, Indoors. Additionally, within these facilities you can try 25 meters, Indoors. Unfortunately we do not have the email address of this Swimming Pool, but we can give you the phone number. Updated on 2019 Weg naar Rhijnauwen 3 , Utrecht , NETHERLANDS (Postal Code: 3584 AD). This sports center offers Olympic size x 20 meters, 7 lanes, Indoor/Outdoor. For this Swimming Pool, only phone number is number here. Updated on 2019 Vaartweg 51 , Bunschoten , NETHERLANDS (Postal Code: 3754 NA). Among all the activities supplied by the center, if you're interested in swimming you will take pleasure in 25 meters, 6 lanes, Indoors. Just in case you wish to contact this Swimming Pool prior to dropping by, we only know the phone number. Updated on 2019 Bavoortseweg 9 , Leusden , NETHERLANDS (Postal Code: 3833 BM). Among all the activities offered by the center, if you are thinking about swimming you may appreciate 25 meters, Indoors. Just in case you would like to contact this Pool just before dropping by, we only know the phone number. Updated on 2019 Schellingerlaan 20 , Driebergen - Rijsenburg , NETHERLANDS (Postal Code: 3971 BX). This sports center gives 25 meters, 6 lanes, 1.4 meters - 3.5 meters depth, 1.4 meters - 3.5 meters depth, Indoors. Contact information and facts for this Swimming Pool just like phone number and e-mail address are number. Updated on 2019 Sportlaan 15 , Hoogland , NETHERLANDS (Postal Code: 3828 AZ). This sports center offers 25 meters, 5 lanes, Indoors. For this Swimming Pool, only phone number is number here. Updated on 2019 Merweplein 1 , Nieuwegein , NETHERLANDS (Postal Code: 3432 GN). This sports center gives 25 meters, 6 lanes, Indoors. Contact information for this Swimming Pool which include phone number and email address are number. Updated on 2019 Parelhoenstraat 12 , Amersfoort , NETHERLANDS (Postal Code: 3815 AG). Among all of the activities offered by the center, when you are interested in swimming you might enjoy 25 meters, Indoors. Just in case you need to contact this Pool before dropping by, we only know the phone number. Updated on 2019 Esdoornlaan 5 , De Meern , Utrecht , NETHERLANDS (Postal Code: 3453 HH). Among all the activities provided by the center, for anybody who is interested in swimming you'll enjoy 25 meters, Indoors. If you might want to get in touch with this Pool, email address and phone number are both number. Updated on 2019 Groeneweg 58 , Rhenen , NETHERLANDS (Postal Code: 3911 PG). Among all of the activities supplied by the center, if you are considering swimming you will appreciate 25 meters, 5 lanes, Indoors. If it is advisable to make contact with this Pool, email address and phone number are both number. Updated on 2019 Sportlaan 1 , Veenendaal , NETHERLANDS (Postal Code: 3905 AD). Among all the activities offered by the center, if you are interested in swimming you can delight in 25 meters, 8 lanes, Indoors. Just in case you want to contact this Pool prior to dropping by, we only know the phone number. Updated on 2019 Adres Het Slyk 1 , Vianen , NETHERLANDS (Postal Code: 4133 EA). Among all the activities offered by the center, when you are interested in swimming you can expect to appreciate 25 meters, Indoors. If you need to get in touch with this Swimming Pool, e-mail address and phone number are both number. Updated on 2019 Schepersweg 14/a , Breukelen , NETHERLANDS (Postal Code: 3621 JK). Swimmers like you reported 25 meters, Indoors. Phone number and e-mail address are number for this Swimming Pool. Updated on 2019 Van Helvoortlaan 40 , Woerden , NETHERLANDS (Postal Code: 3443 AP). Among all of the activities offered by the center, if you are interested in swimming you can enjoy 25 meters, Indoors. If you should contact this Swimming Pool, e-mail address and phone number are both number.